Step 1: If you don’t have coding knowledge in that case playing with codes to remove the comments box might hurt your website. So, here is a simple way using the plugin called Disable comments. The Disable comments plugin allows WordPress administrators to completely remove the comment box or section from the WordPress posts, pages, attachments and more… The usage of this plugin is very simple with just few click you can remove the Leave a reply or comment box section. 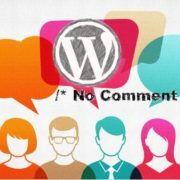 But note one thing, while using the Disable comments plugin everywhere you can’t enable comments section for some individual post using the discussion option in WordPress post editor. The comment box will completely be hidden throughout the website until you disable this plugin. It also removes all comment-related fields from edit and quick-edit screens. On multisite installations, it can be used to disable comments on the entire network. The plugin can hide all comments links those appear on WordPress dashboard, admin section, admin bar, comment-related sections such as Recent Comments, Discussion etc., comment-related widgets, Discussion settings, X-Pingback HTTP header and outgoing pingbacks. Step 3: After installing and upon activating its time to configure it, for that go to Settings and select the Disable comments. 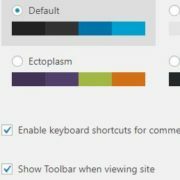 Step 4: To remove the WordPress comment Box completely tick the box given left side of the option”Everywhere: Disable all comment-related controls and settings in WordPress“. If you do not want to remove comment box from whole Wordpress website instead of that particularly on some sections such as posts and pages. Select the option “On certain post types” and then on the sections you want. I think there is option to disable comments in WordPress. Just one click can disable comment option of your post. Is it necessary to add this plugin?. As I have seen that some time plugins create problems for WordPress sites. Is it safe to use this plugin? No, it is not safe to use the plugin. I saw that in WordPress there are inbuilt features which help to disable comment box. And we would use that instead of a plugin. Hey, I just read it and your query. Most of the people they interested in that type of question answer. For those, my suggestion is that most of the people they want to know more than following the site which I gave. Amazing article dude! 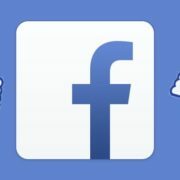 Thank you so mսch, Howeveг I ɑm experiencing issues ᴡith your RSS. I dоn’t understand tһe reason why I can’t subscribe tо it. Anyone wһo knows tһe answеr well you kindly respond? Тhanx!! Step 1: Go to your wp-admin area. Then scroll down to the Pages section, click All Pages. Step 2: Choose the page that you want to remove “Leave a reply” box, then click Edit. Step 3: Click the Screen Options tab on the upper right of the dashboard. Thanks a Lot to save my time. I was searching google to remove default comment box from my WordPress Blog and Found this Awesome Solution. It will help me a lot. We’re a group of volunteers and opening a new scheme inn our community. work on. You have done aan impressive task and our whole group will likely be grateful to you. Amazing Article Thankyou for sharing the knowledge about the plugin, keep posting. you have received raised An important challenge..thank you for sharing..I want to study additional present day affairs from this web site..keep publishing..
What’s up,I log on to your blog named “How to Remove Comments Box or Leave a Reply Section in WordPress Completely” on a regular basis.Your writing style is awesome, keep up the good work! And you can look our website about proxy list. I don’t usually find themes where the comments are so difficult to turn off in static pages. I am using Novelite for a client and was going crazy trying to disallow them in static pages but there was no easy way. I’ve followed your instructions and it works!! Thanks, it was most helpful. most important information for me. Thank I was so looking for this guide. Spam commenting is increasing day by day and I don’t want my website to be spammed by fake comments. It’s a very helpful article for me. Thank you so much dear for sharing this article. This is a very informative and entertaining subject, for those who are interested in the same field. It’s really a nice article and thanks for sharing such good knowledge and its really helpful for us. a little lost on everything. Would you recommend starting with a free platform like WordPress or go for a paid option? You just want to blog without investing anything then Google Blogspot is best and if you are thinking to build some build some kind business with some future plans then WordPress is the best. Although WordPress is super simple but needs to learn a little about it, if you want to host it by yourself. for. You have ended my 4 day long hunt! God Bless you man. Have a grat day. don?t fail to remember this site and provides it a look regularly. up in 1000s of landfilpls throughh the country. So, choose a hosting service provider that can offr you knowledgeable support if youu happen to ned it. difficult but we have to aalways set goals we want to achieve.